A great round-table ( I know it’s square but… ) talk with some of the cast of the upcoming Dunkirk. Not only that we get a nice piece from the director, Christopher Nolan introducing out cast’s reminiscing about the shoot and sometimes it was very easy to act out a scene. 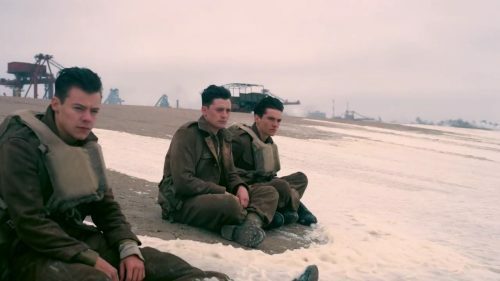 Sometimes explosions, Spitfires flying overhead on the beaches of Dunkirk makes it very easy to get into the mind of your character when they are trying to stay alive with all the destruction going on around them.